Some aggrieved customers yesterday besieged the offices of reclassified GN Savings and Loans Limited to demand their funds. GN Bank was downgraded to a savings and loans after it failed to meet the minimum capital requirement of GH¢400 million of the Bank of Ghana (BoG) by the December 31, 2018 deadline. 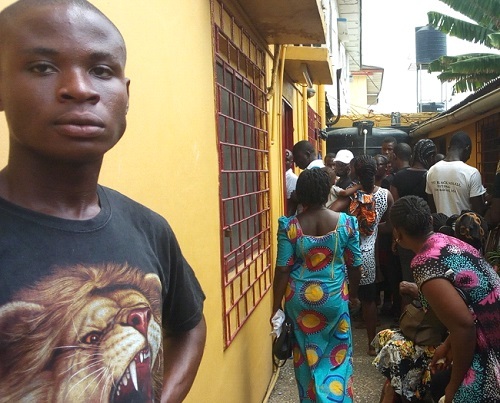 The customers trooped to the premises of GN Savings and Loans Limited at the Kwame Nkrumah Circle branch off the Ring Road Central in Accra as at 6am yesterday. BUSINESS GUIDE learnt that owing to the large number of customers that stormed the premises, the company was able to pay only GH¢200 to each person. Some customers claimed they travelled from other regions to retrieve their monies. “We were told that there was no money because the amount that was being distributed had finished. Initially, we went to the head office at Asylum Down but eventually had to be referred to the Ring Road Central at the Kwame Nkrumah Circle. General Manager for Marketing, Allan Quaye, admitted that GN Savings was facing temporary challenges and urged customers to exercise restraint. Mr. Allan told the customers that the GN Savings was in the final stages of reconciling deposits and investments, adding that the company was also critically examining the accounts of its debtors. He added that “we wish to inform our debtors about the urgent need for them to settle their debts, be it loans, commercial paper or investment, and we remain flexible to work out payment terms to meet the needs of all stakeholders. “Those who refuse to comply with the February 28 deadline to come for settlement negotiations will face several consequences,” he added.